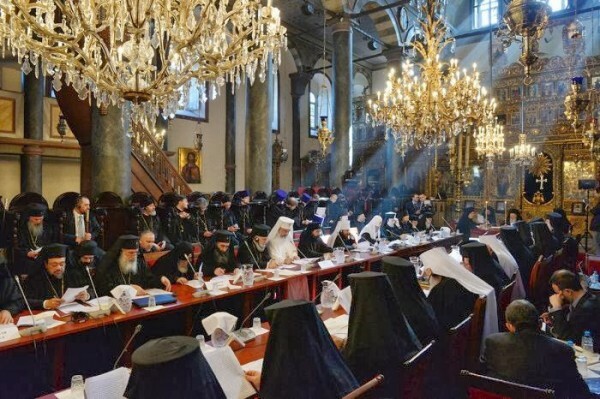 Pentecost 2016 will mark the opening of the Great and Holy Council of the Orthodox Church. 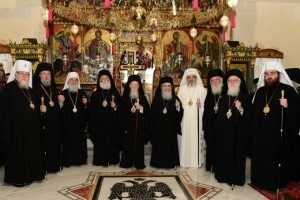 It has been over 1,000 years since the Eastern Orthodox Church has held a Great and Holy Council. The world has certainly changed in the past millennium. Electricity, flight and the Western Hemisphere are all examples of things that were unknown to the participants in the last Council. Needless to say there is some catching up to do! Despite all of these changes, the question today is a simple one. Is the Church truly what it says it is or is all the talk of Orthodox conciliarity for naught? One wonders how a Church that cannot agree on a date for Christmas can work together and face the future. The first millennium always looks perfect from afar and after over 1,000 years of waiting it is easy for leaders focus on nostalgia for times gone by. The greater challenge is to turn outward and show an increasing secular world the truth and beauty of the Orthodox Christian Faith. The vocation of the Council is not to serve itself but to serve the world. This is the essence of Apostolic witness. Here are five best practices the Great and Holy Council must embrace to meet the challenge of the future. 1)TAKE THE TIME: One of the temptations in the organization of the Council is to conduct it in haste. It would be a tragedy if the Council was held over a two or three day period and followed a tightly prepared script. Previous Councils lasted for months and there is no reason for the 2016 Council not to take its time and allow the Holy Spirit to work. Modern technology makes it easy for leaders to govern their dioceses from afar and to communicate with one another. It has never been easier than it is today to conduct a Great and Holy Council. 2)BE TRANSPARENT: Technology has been a challenge for the Orthodox Church but it also has offered many blessings. It is important to harness the blessing of technology to share the work of the Council with the world. There is no need for secrecy in the Orthodox Church. Leaders can demonstrate this by broadcasting the Council’s proceedings. In the age of the internet this is quite easy and there are many Orthodox media outlets who are capable of providing these services. Every person should have the opportunity witness the work of the Council by being able to listen as it unfolds in real time. Transparency is the foundation of authentic conciliarity and never hurts the Church. It helps strengthen the Body of Christ. 3)EMBRACE DEBATE: History shows that the Councils that have promoted healthy debate have born the most fruit. There is no reason this cannot be true today. The Church must show it welcomes robust debate in the defense of the Faith. The greatness of Orthodox Christianity has always been made manifest when it has taken the time to address the great questions posed by society. This is a Tradition that should continue in 2016. 4)EVANGELIZE FIRST: The Orthodox Church rejects clericalism at all times. Questions of power and control have no place in the Body of Christ. Instead of falling for the trap of debating the order of Churches and who is subject to whom, Council leaders should focus on first growing the Church through mission and evangelism. The Council must answer the question: How can the Orthodox Church reach those who are unchurched or fallen away? 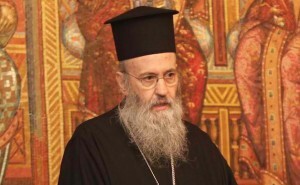 Archbishop Anastasios of Albania is correct when he writes. 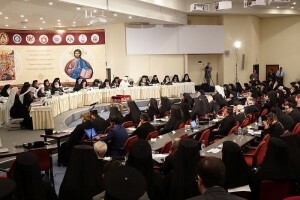 5)INVITE WOMEN: Orthodoxy has always held women in the highest regard. Church history is full of amazing women such St. Olha of Kyiv and St. Maria of Paris. One can only imagine what these women would say if they could address the Council in 2016. There is simply no sensible reason not to invite women monastics and other faithful Orthodox women to participate in this important event. Not to do so undermines the voice of the Church and its ability to witness to the world. It also denies the great role women have played in the history of the Church. There is no question the Great and Holy Council will measure the health of the Church as it exists today and for decades to come. Will the world see a Church that is simply a museum from a time long gone or will the world see the Apostolic Faith that turned the world upside down ultimately changing it for the better? Only time will tell for certain.